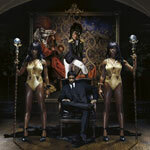 Santigold Biography, Discography, Music News on 100 XR - The Net's #1 Rock Station!!! Singer + songwriter & producer Santi White, born in Philadelphia, Pennsylvania USA, on September 25, 1976, started her music career performing with a Philly Ska-Punk band after moving to Brooklyn in 2005. Initially her artistic name was Santogold and along with longtime collaborator John Hill -- AKA Johnny Rodeo --, White managed to capture the attention of media, Rolling Stone identified her as “One To Watch” and such artists as M.I.A. and Björk, for whom she opened at Madison Square Garden in September 2007. The full-length self-titled Santogold first album was released in May 2008 on Downtown/Lizard King in the U.S. and via Atlantic Records in Europe. The 12-song set quickly ascended into the top 10 of the Billboard Independent Albums chart while the first single, "L.E.S. Artistes", peaked at #36 on The Hot Modern Rock chart. 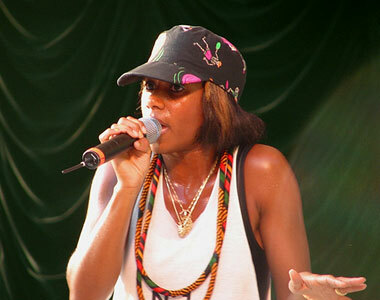 "Santogold" finally reached #76 on the all-genre Billboard 200 Albums chart and inched into the British Top 40. In February 2009, she was forced to change her moniker to Santigold as a result of infomercial jeweller Santo Gold threatening legal action against White and her record label. 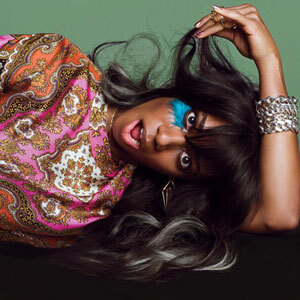 May 2012 saw the release of "Master Of My-Make Believe", White's first album credited to Santigold; the disc debuted at #21 on The Billboard 200 and its main single, "Disparate Youth", hit #27 on The Alternative Songs chart.